Reggie Thornburg | Author of "A Lion Tamer Dies" and "Yellow Jackets"
After choosing sides, will Pete's luck run out too? Pete knew he was entering dangerous territory. Capture was likely. Death would not come as a suprise. Yet, as B-John said, "If the graveyard dog isn't right there snapping at your heels, it wouldn't be worth doing or any fun at all." It was 1947, and seventeen-year-old Pete Forsythe had just arrived in the seemingly sleepy town of Van Horn in southwest Texas. Abandoned by his mother, the Chicago-bred teen went about adapting to life with his stuffy, well-to-do aunt and uncle. In the years immediately after World War II, it seemed the whole country was experiencing growing pains, as was Pete himself. Soon boredom, frustration, and rebellion lure him to a gang of veterans struggling to recapture the normalcy of their pre-war lives by returning to the thrill of midnight horse-thieving raids on nearby ranches. Led by the enigmatic B-John, the group opens up a world of danger, mystery, and adulthood to Pete, while shining a light on secrets the townsfolk would rather keep to hushed whispers. Torn between childhood and adult life, big city and small town, Pete is left to his own devices to determine whose version of morality is correct. He soon realizes no one is as good or bad as they seem in Van Horn. 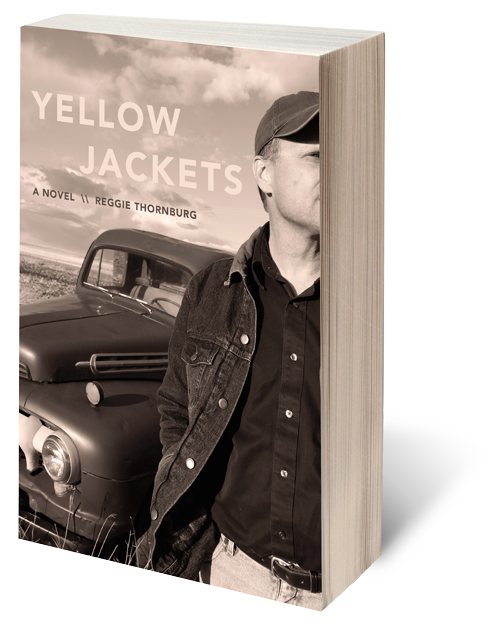 A character-driven coming-of-age thriller, Yellow Jackets bluntly explores post-World War II rural America while leaving readers to wonder if Pete's luck will run out.